If it’s got wheels and an interesting story, Dan’s the man to tell it. Can less engine ever mean more car? This is the question facing many modern day high-performance manufacturers and one now looming large over the Aston Martin DB11. 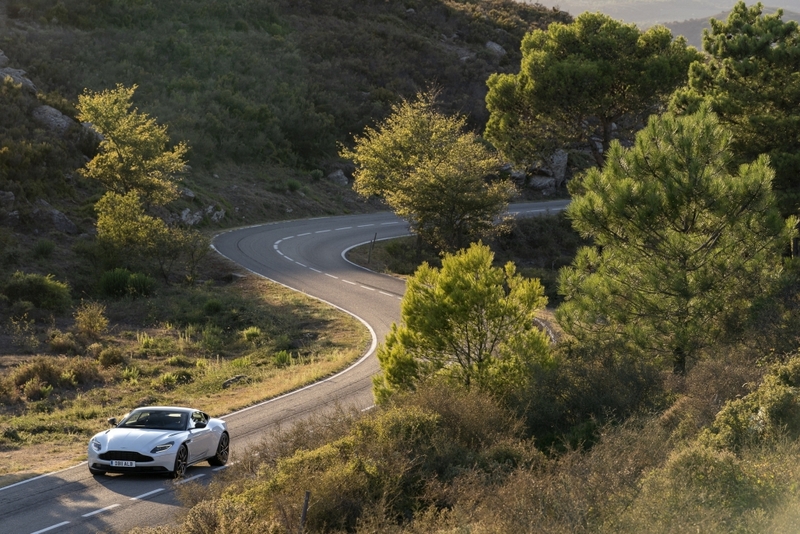 The first of the brand’s ‘Second Century’ offerings has a big job to do, jolting exterior styling out of the comfortable rut it has sat in since the introduction of the DB9 in 2004 and introducing a new generation of V12 engines, downsized from 5.9 to 5.2 litres and trading the spine-tingling naturally aspirated howl for the whoosh of turbocharging. A bitter pill to swallow for those of us raised on one of the best sounding motors in the business but essential if Aston Martin is to keep pace with its rivals. With the DB11 leading the charge and a new Vantage on the way, Aston Martin is clearly reinvigorated and gearing up to do something that is hasn’t done in a long time. Namely, cough, make a profit. This means it has had to turn to outside help for a new, smaller engine that’ll let the DB11 duck under punitive tax regulations in key markets like China. Yes, Aston Martin, that most quintessentially British of brands, is now asking its customers to accept a 4.0-litre V8 engine bought in from Mercedes-Benz as the beating heart of its latest model. Can a brand trading on emotion and tradition really get away with using an off the shelf engine of this type, not least from a German manufacturer? 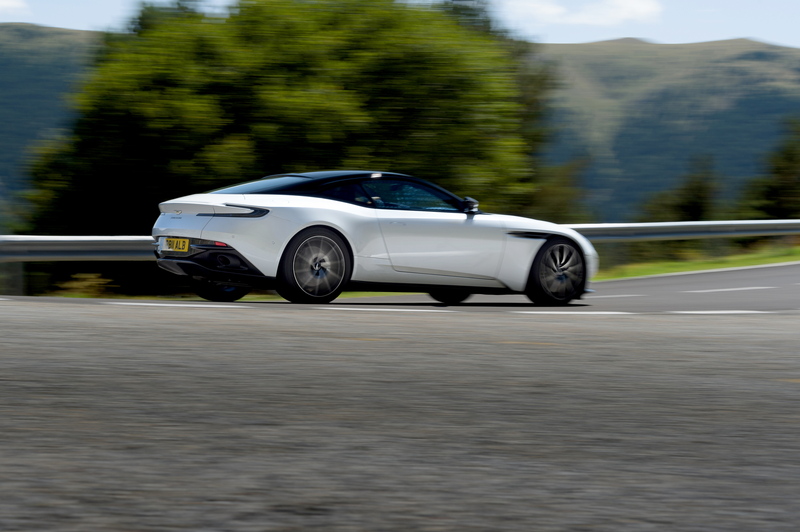 Aston Martin’s future depends on us buying into the idea of a Mercedes-engined model range. The pressure is most definitely on. 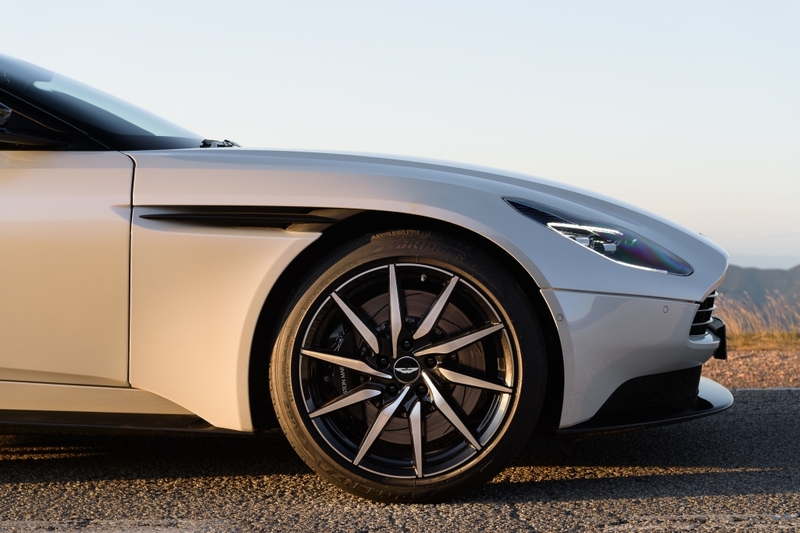 You pick up on Aston’s futuristic-thinking with just a quick glance of the exterior lines. OK, it’s still recognisably an Aston Martin, but the clean shapes and finely balanced proportions of the DB9 and Vantage era are now more chiselled and aesthetically provocative. So the exterior is classic sporting GT and the traditional Aston Martin grille instantly recognisable. But the detailing is high tech, from the huge clamshell bonnet with its floating side vents to hidden intakes in the C-pillars that channel air through the bootlid and create an invisible ‘AeroBlade’ rear wing. Engineering meets sculpture in hidden details like the cast aluminium ‘curlicues’ tucked inside those wing vents – run your hand inside the wing and their rippled surface feels solid and cool to the touch, the shape extracting high pressure air from the wheel arches and down the side of the car, reducing both lift and drag. In isolation these parts are beautiful objects in their own right but in the DB11 they have a job to do too. 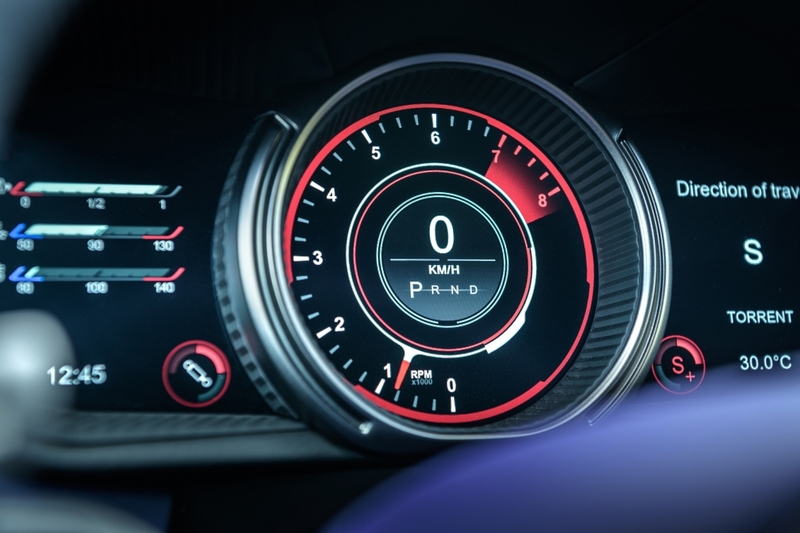 The effort taken to make sure functional components also look cool is a theme repeated throughout the car. Some, like the extruded aluminium roof rails, have a purely aesthetic job though, these available in a variety of anodised finishes to contrast with the paint. Choose this carefully though because the DB11 is very colour sensitive. This is a big car that does little to hide its size but in paler shades it can look a little awkward, the surface detailing appearing somewhat heavy-handed and the ride height a tad gawky. In darker paint it looks hunkered down and properly sinister though, the shallow windowline accentuating the length and width while the muscular haunches suggest power and poise. After years of playing it safe, this is Aston Martin’s design department taking a bold step forward, the shock to the system requiring some time to digest. The DB11 is a huge step up interior-wise, too. Again, classic influences are combined with modern style as contoured leather butts up against carbon fibre and aluminium, brogue-influenced stitching contrasting with the latest multi-configurable displays and touchpad interfaces. It could clash terribly. In some of the hides Aston Martin has specified on its press cars (purple hide with red stitching anyone?) – frankly it does. But Aston Martin is clearly trying something new and for that, we can only praise them. It’s not just engines Mercedes is supplying either. After years of flaky Ford switchgear and cheap, bought-in navigation units the DB11 finally brings Aston Martin into the modern age with a large central screen and combined touchpad/control wheel interface. Gone are the fiddly buttons and rubbish graphics, a bit of German logic finally bringing some semblance of order to the all-important human-machine interface. The weighty spin and push wheel controls all your major interactions with smartphone, nav and entertainment. And, if a tad inelegant, the dashtop screen means you can access what you need without taking your eyes off the road. The touchpad, meanwhile, is just as impossible to use as any equivalent. A second screen in the instrument binnacle is dominated by a central, digitally created rev counter that changes colour and format according to driver mode, flanked by sub menus controlled by buttons on the steering wheel. Again, these will be familiar to Mercedes drivers but at least the graphics are Aston Martin’s own in this instance. Buying in Mercedes’ expertise for the electronics and switchgear and concentrating on the design and handcrafted detailing plays to Aston Martin’s strengths. If the same trick can be carried through to the driving experience things are looking good. Indulge some tech geekery. This 4.0-litre twin-turbo motor is at the heart of the AMG range, appearing in everything from the C63 saloon to the flagship GT sports car. In all of them it dominates the driving experience, as befits a company for whom big, powerful V8 engines have ruled supreme since its founding half a century ago. By AMG standards, this is a small engine but no less muscular in character. This explains why the on-paper statistics are apparently close to the V12 Aston Martin motor in the flagship DB11. The AMG unit is down nearly 100hp at 510hp but the torque is a near-even match. Significant weight has been taken out of the car too, the V8 losing a little in top speed but barely a tenth behind its big brother’s 0-62mph and tuned to make the most of that considerable weight advantage. Like all Aston Martins the DB11 puts its engine and rear-mounted gearbox (in this case a smooth-shifting eight-speed auto) between the axles, this traditional transaxle arrangement a mainstay of sporting GTs since the ‘50s. Thankfully you don’t have to be an engineer to appreciate the benefits of this layout, or the way they’ve been exploited. 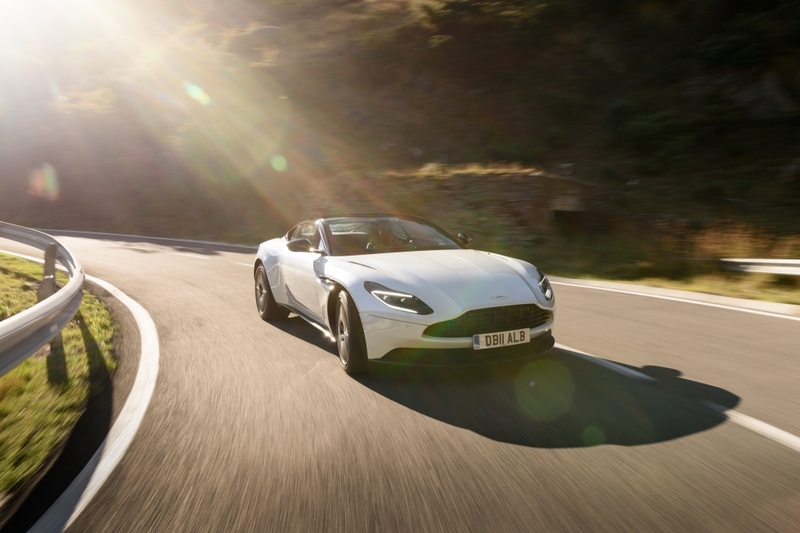 The DB11 will waft along the motorway as fast and comfortably as any GT in its default mode of the same name. 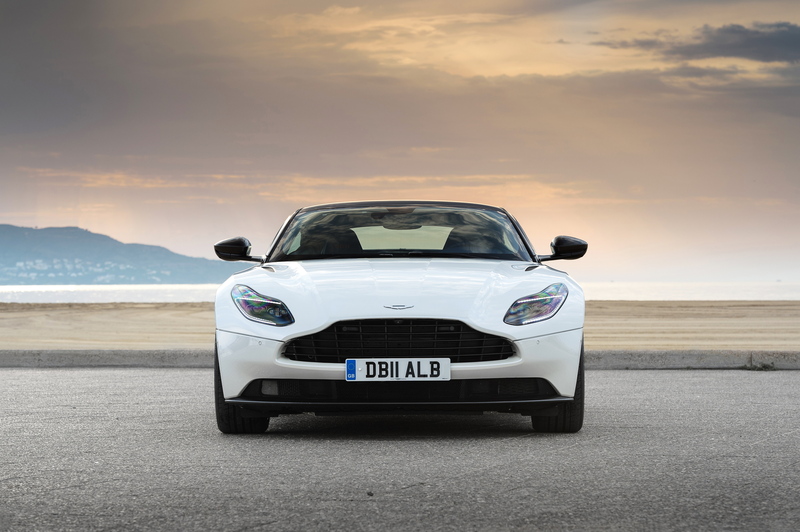 But where a Bentley Continental GT or Mercedes-AMG S-Class Coupe are content to do this all day, you sense the DB11 is straining at the leash somewhat and eager to demonstrate its athletic side on the road less travelled. Do yourself a favour then. Turn off the motorway. Make the most of the clear graphics on the new nav screen to find the twisty road over the mountains rather than the tunnel under them. 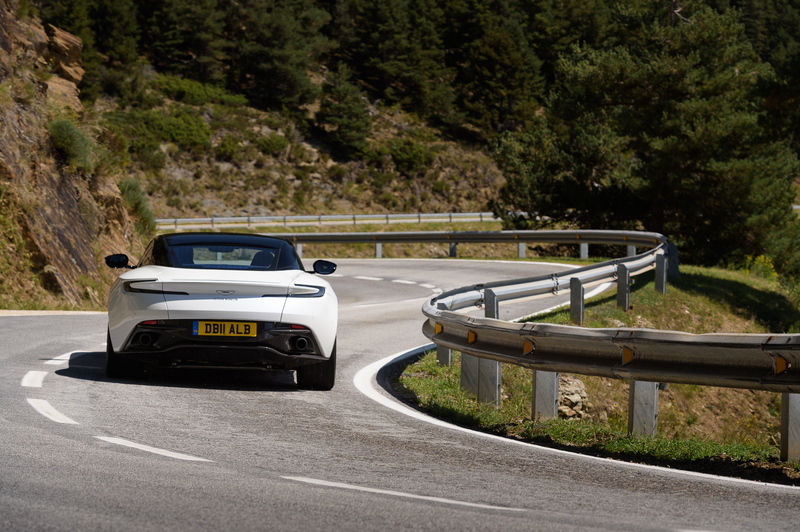 Because here, the DB11 V8 reveals the true nature of its sporting heritage. Sure, it can waft. But it prefers to be driven hard. Dial up Sport or Sport Plus mode for the engine and transmission and the exhaust note hardens, the throttle response quickens and the gargles, pops and bangs on overrun prickle the hairs on your neck. Take control of the shifting yourself via the paddles and the automatic transmission responds quickly, without the annoying nannying, multiple shifts or other quirks found in Mercedes applications of the same engine. Ramp up the damping modes the same way and the steering gains weight and authority, the lighter V8 in the nose making it feel far more agile than the V12. Where that car is about thunderous acceleration, this new one is about flowing through the corners and enjoying the sharper responses. On a slippery road, the car will move around a fair degree, even with the systems on. But the balanced weight distribution means it’s easily caught, involving you in the driving experience like a true sports car while cosseting you in leather-lined luxury as you’d expect of a GT. Very much Aston Martin’s sweet spot, in other words. Successful partnerships, be they romantic or in business, require a certain amount of common ground to succeed. In that sense Aston Martin’s newfound love-in with AMG would appear a match made in heaven. 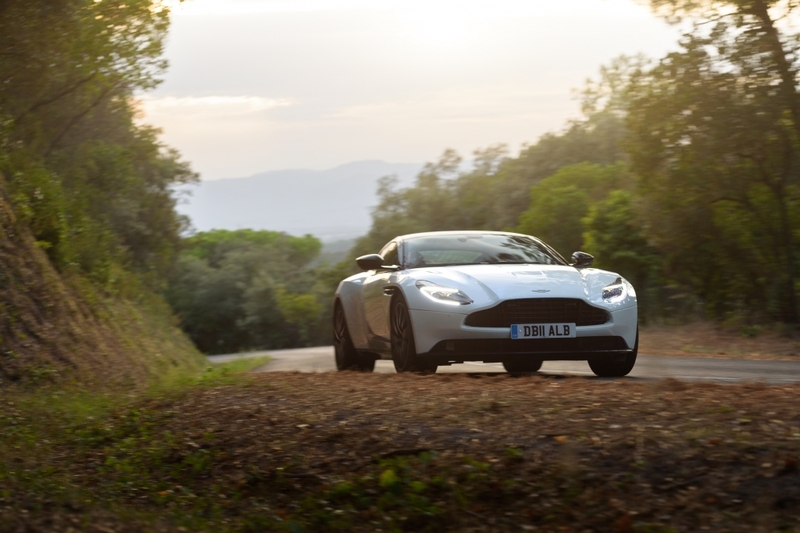 The V12-powered DB11 retains its position as the pinnacle of the range, thanks to its more powerful engine and the cachet of being all-Aston. But is there any shame in driving a ‘lesser’ model with an engine bought off the shelf from another manufacturer? The V12 is there if it’s a problem for you, while this V8 offers a distinct, sportier take on the same formula. In design and engineering, Aston Martin is treading a fine line between respecting its traditions and selling them out. First signs are that it’s pulled the former off with some panache and its Mercedes-supported future looks to be a bright one.